Canoeing, kayaking and whitewater rafting are great ways to enjoy the water with family and friends. 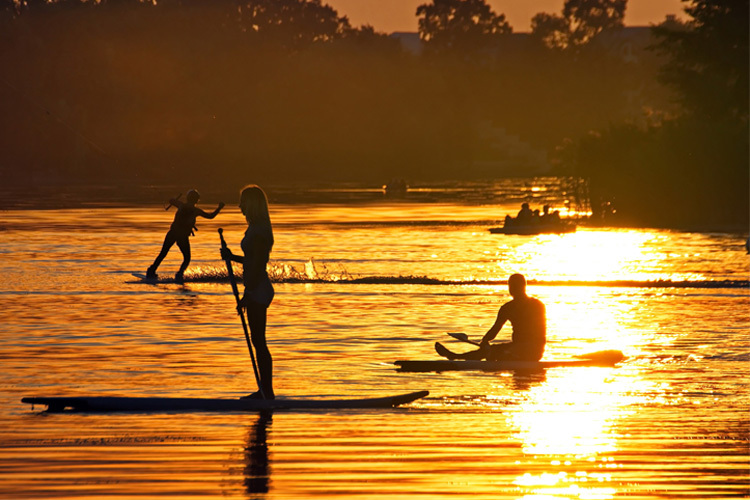 This simple guide will have you up and paddling in no time. 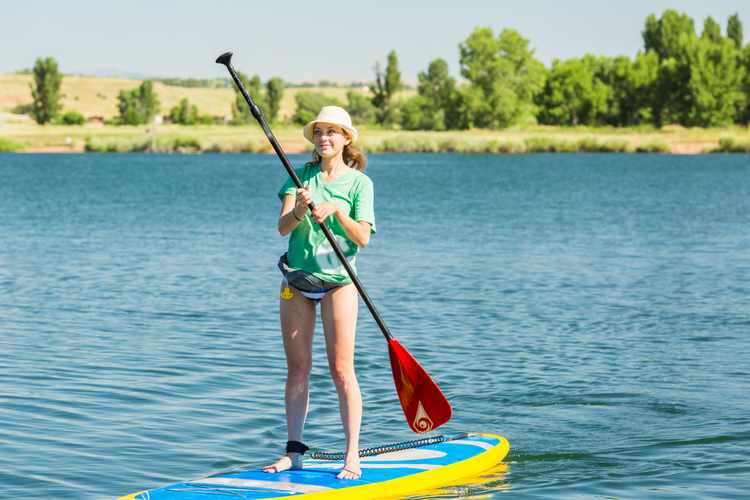 Welcome to the wonderful world of paddlesports, where water whisks you away into a magical paradise and pastime you can pursue forever with family and friends. It provides exercise, a way to get out in the wild, and lets you go at your own pace. If you get tired, simply slow down and take in the scenery. While it’s easy to get started, there are a few things to bear in mind before pushing off from shore. Canoeing is an easy way to get started in the paddlesports with rentals available at many lakes. With their open decks, canoes are great for calm lakes, easy rivers and estuaries, where you don’t have to worry about waves splashing over the gunwales (pronounced gunnels). If you haven’t mastered the J-stroke (a technique to keep your canoe going straight while paddling on one side), they’re best paddled tandem rather than solo, adding a social component to your outing. 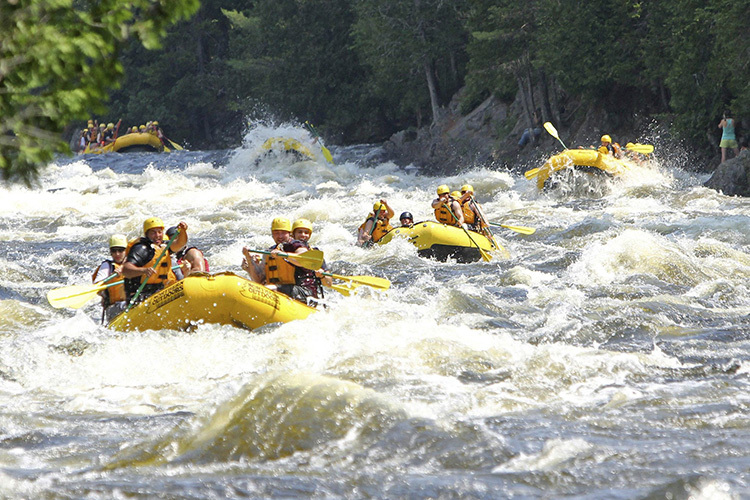 Rafting is fun, comfortable and a great way to get the whole family out on the water. Rafts are the most user-friendly way to get down a river. They’re comfortable, bounce off rocks and ride over waves and holes. Most have inflatable, self-bailing floors so water that comes in drains back out. Go on an oar boat, where one person rows, or on a paddle raft, where everyone chips in, with a guide in the stern. 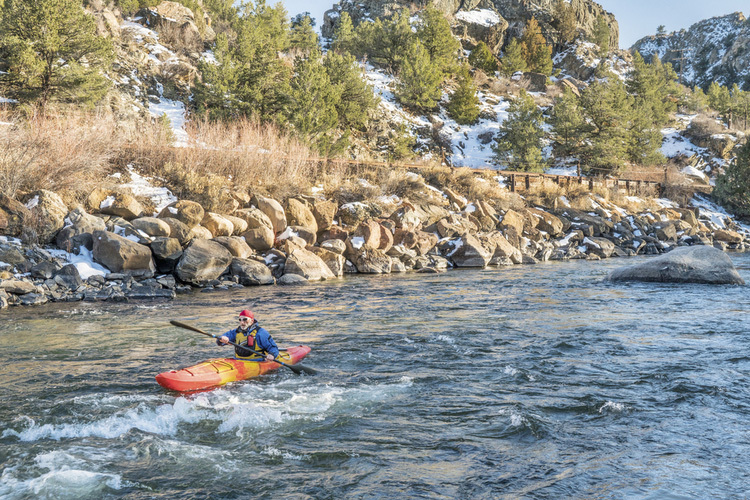 Here are a few common terms relating to kayaks that will help you in conversations with your local paddle shop owner and guides. Rudder: a steering device mounted to the stern and controlled by your feet. Storage hatch: a water-tight compartment (fore, aft or both) for hauling gear. Cockpit: the circular hole in the hull that you sit inside. Spray skirt: a coated-nylon cover that attaches to the cockpit to keep water out. Sweep stroke: a wide paddle stroke on the surface of the water used to help initiate a turn. Drip-Guard: a piece of rubber attached to the paddle shaft to stop water drops from trickling onto your arms. 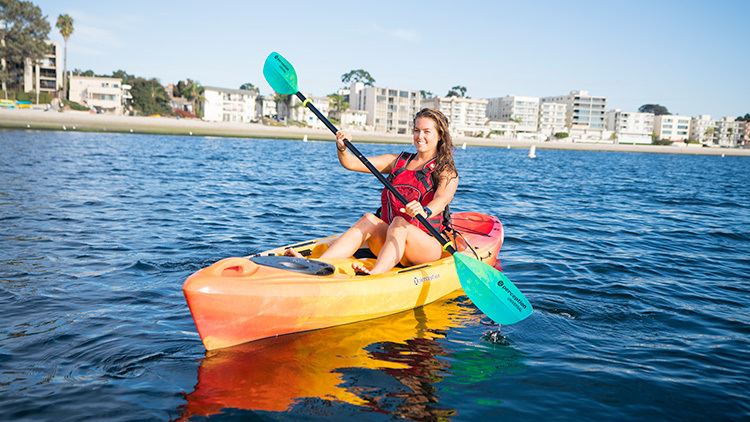 Kayaks are loads of fun and recreational sit-on-top models like this are easy to master. 1. Sit-on-top—This kayak allows you to sit on top rather than inside. These kayaks are easier to get on and off of so you can swim and snorkel off your kayak with ease. And in event of a capsize, you can climb right back on—no wet exiting from a cockpit with spray skirt. Sit-on-top designs are also less confining. Downsides include being exposed to the elements (they’re not as good for cold weather/water paddling), less in-hull storage, and they can be wetter if the waves kick up. 2. Sit-inside—These kayak styles favor those paddling in cooler climates or on longer trips; you stay drier and more out of the wind, sitting inside a closed cockpit. They also offer better in-hull storage for gear, making them better for paddling longer distances, and come in both touring and recreational versions, depending on your ultimate use. 3. 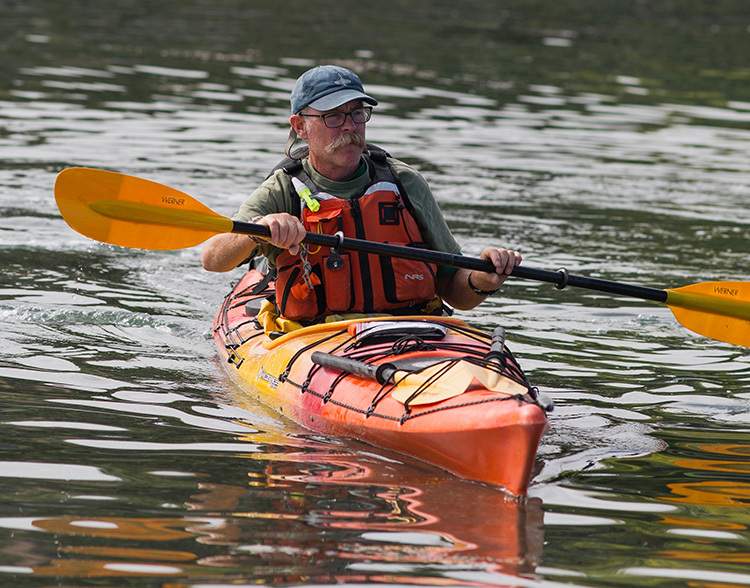 Rec kayak—Recreational kayaks are sit-insides that cater to more entry-level paddlers. They’re shorter, wider and more stable than traditional (and narrower) sea kayaks, and they’re more comfortable with large/spacious cockpits. The tradeoff is that recreational kayaks are a bit slower than touring kayaks and require more effort to paddle long distances. Bonus: because they’re smaller and easier to transport. Quick tip: Always wear your lifejacket. Even if you're in shallow, warm water, your personal flotation device is your link to safety. Make sure it's Coast Guard-approved, fits snugly and doesn't get in the way of your paddling movements. 4. 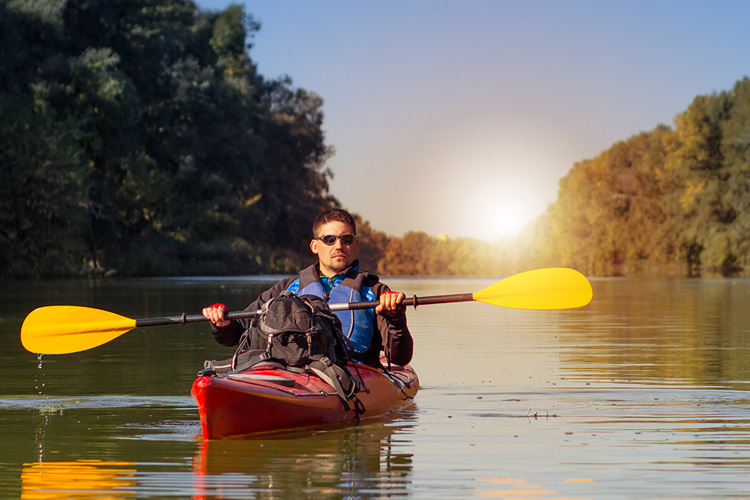 Touring/sea kayak—These styles are generally longer and narrower than rec kayaks and better suited for longer crossings and multi-day trips. Their length and design offers increased speed, tracking and storage, with thigh braces enhancing control. Many come with foot-controlled rudders for steering, storage hatches, and bungee deck storage. They’re most often paddled with a nylon spray skirt to keep splashes at bay. Kayaks come in many shapes and sizes. Touring/sea kayaks like this are longer and narrower, making them a better choice for multi-day trips. 5. Inflatable—As with rafts, abrasion-resistant rubber makes these well-suited for rivers and other rocky environments. What inflatable kayaks lack in hull speed they make up for in stability, portability and durability. Available in single and double models, most also have inflatable, self-bailing floors. 6. 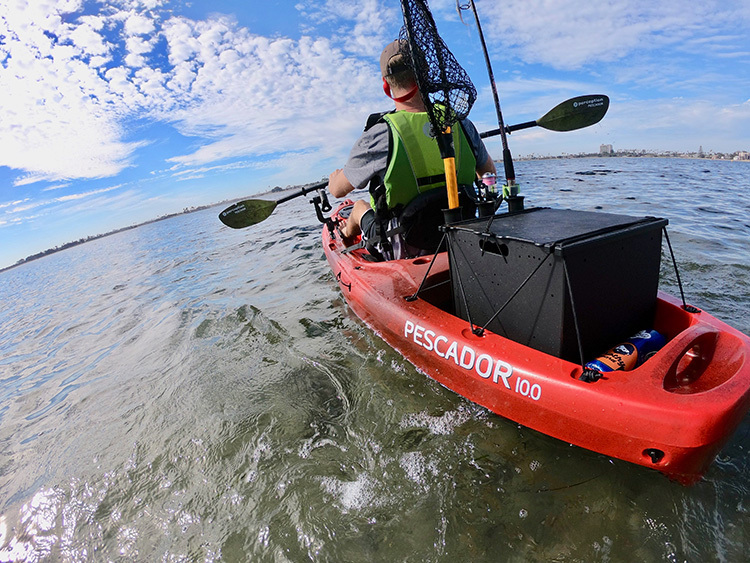 Fishing Kayaks—If you plan primarily on fishing, this is your craft. These are sit-on-tops with the addition of such accessories as rod holders, bait platforms, anchors, tackle compartments, electronic add-ons, pedal power options and more. They’re generally wider, heavier and more stable (some letting you cast while standing), with large maximum capacities for gear (and fish!). Fishing kayaks are more stable. These sit-on-tops offer a wide range of accessories from rod holders to fish finders and navigational aids. 7. Pedal kayaks—These are propelled via a removable pedal-drive system that drops through the hull in front of your seat (note: you can also propel them with a paddle). They can reach speeds of 5 mph, faster than you can paddle, and are steered with a hand-operated rudder. While their origins stem from fishing (i.e. they keep your hands free), they’re becoming popular for general rec use as well, and are great for birding, sight-seeing, exploring and other uses. Most also come with a forward and reverse mode (handy for retrieving that snagged lure). 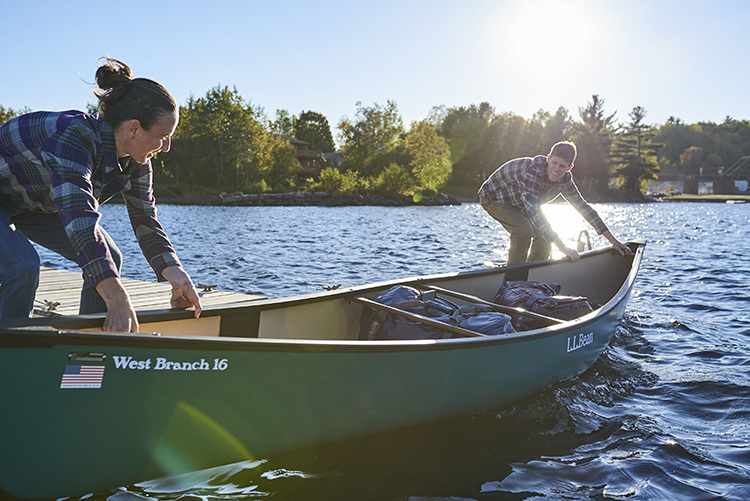 Several options exist for getting out on the water: renting a craft and giving it a go yourself on a suitable waterway; taking a lesson; going out with a group such as a paddling club; or joining a guided trip through an outfitter. Rentals: Check the Internet for a retailer or rental shop in your area. Most offer a variety of craft suitable for your area, with rates varying from hourly to half- and full-day outings. Rentals include paddles and Personal Flotation Devices (PFDs). Lessons: Taking a lesson is probably the best way to get your feet wet in paddling. You’ll learn proper safety techniques and strokes, as well as information about the area. Your local shop is the best bet as a source for schools. 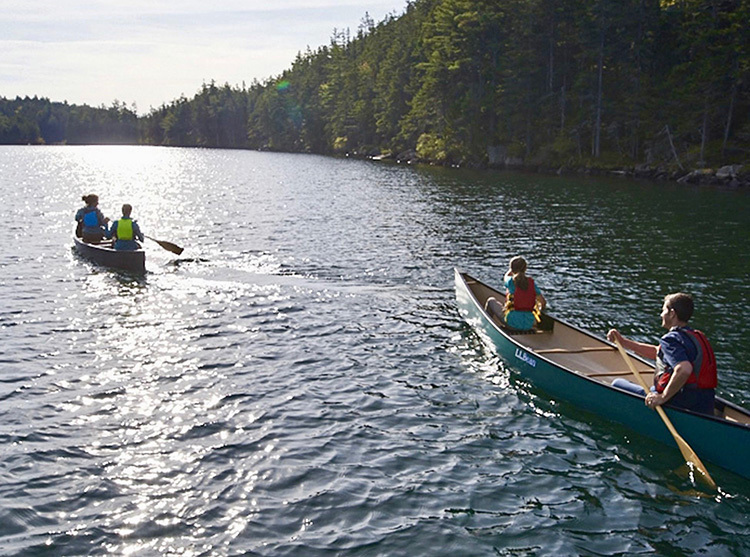 Hint: ask if the instructors are accredited by the American Canoe Association (ACA-certified). Guided Trips: Perhaps the easiest way to get started is to sign up for a guided trip with an outfitter, which offers great equipment, experienced guides, and local knowledge of the area. They’ll also teach you the basics of paddling safety, so you’ll be better prepared to go out on your own. Guided trips are the best way to get started in the paddlesports. Outfitters provide the equipment and can teach you all the basics of paddling and water safety. 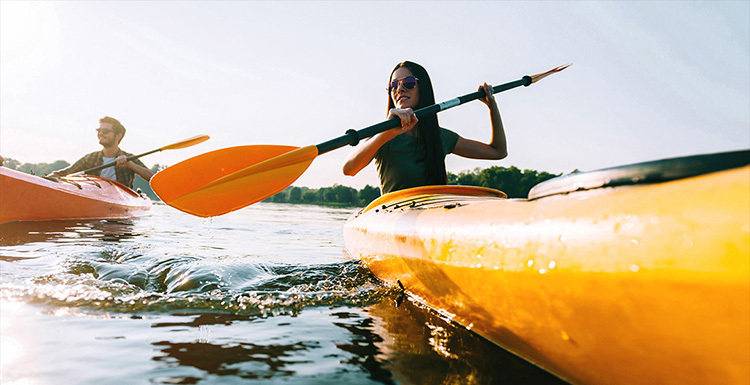 Paddling Clubs: Joining a local paddling club is another great way to get started, ensuring you’ll have a safe, enjoyable time on the water while helping you meet other like-minded paddlers. Ask your local retailer for clubs in your area or visit the ACA Paddle America Club site. Attend a meeting or other function and then sign up for an outing. 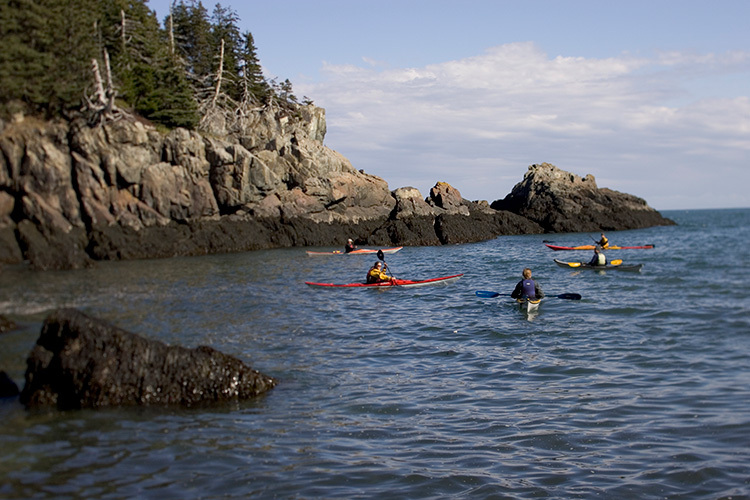 Also check broader outdoor groups like the Appalachian Mountain Club, which often have sub-categories for paddlers. At the end of your outing, swap contact information with other paddlers and make plans to get out again. Message Boards: If you can’t find a local paddling club, talk to your local retailer. Many rental and retail operations have message boards for people looking for paddling partners, mailing lists you can peruse and special events where you can meet like-minded paddlers. Social Platforms: If it works for dating, why not paddling? Don’t overlook the power of the Internet to find paddling partners. Message Boards and Forums (try Paddling.com and even Meetup.com) offer paddling groups broken down by watercraft, ability, gender and even age. Another popular website: OutdoorEyes.com, listed by Backpacker magazine as a top site for finding outdoor adventure partners (visit its "Finding a Partner" community). Such social platforms are especially handy if you’re traveling and want to find a paddling partner.